Brad is the lead attorney and managing member at The Micklin Law Group. For more than 20 years, he has helped clients through some of the toughest, most emotional experiences in their lives, including in high conflict divorces, child custody battles and probate litigation. He has extensive experience in the courtroom and has gained additional expertise and knowledge through advanced family law courses and training in handwriting analysis, body language and advanced micro expression. 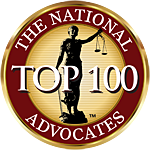 Advocates Top 100 Lawyers award for his advocacy on behalf of family law clients in New Jersey. The award was granted based on Brad’s superior qualifications of leadership, reputation, influence and performance in family law. 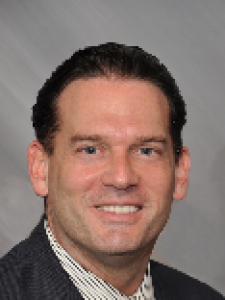 Brad is originally from Philadelphia, PA, and is a graduate of Temple University and Widener University of Law. When he isn’t helping clients, you’ll find him playing the guitar, swimming or lifting weights. Brad has received an “Excellent” rating as an attorney on Avvo. Brad is honored to have received the 2014 Client Distinction Award from Martindale-Hubbell. The award was received because of Brad’s quality of service, overall value, responsiveness, and communications ability. Brad was recently published as a “Top Lawyer in New Jersey” in 2014 in the Legal Network for having the highest ethical standards and professional excellence. Brad was also the recipient of the Martindale Hubble “Client Distinction Award” for excellence in quality of service in 2013, 2014 and 2015. He also received Avvo’s “Excellent Rated Attorney” for excellent professional conduct and experience three years in a row: 2012, 2013, and 2014.